We have recently acted for an English couple whom we helped to retract the contract, with the effect that they were later able to renegotiate the purchase at a lower price because of matters of which they had not been made aware at the time when they actually signed the first contract. We also acted for an English couple buying a French property which had undergone substantial structural work by the sellers. Luckily, the buyers had consulted us before signing the first contract and we were able to make certain amendments to the contract which would later become vital when a dispute arose between us and the local Notaire (whom the estate agent insisted should handle the final transfer deed) about the compulsory “no fault” insurance which the seller should have taken out before starting the work but had failed to do so. That insurance, (called “assurance dommage-ouvrage”) if it is taken out, would pay out to the owner for the time being of the property in the event of any structural defects arising from the works. That would mean that the owner whose property had suffered damage as a result of bad workmanship or materials would not have to prove negligence or breach of contract on the part of the builder. In this particular instance the sellers of the property had failed to take out this insurance, no doubt because it can be very expensive to do so. The Notaires had tried to persuade us that the builder’s own insurance was equivalent to that no fault insurance. Finally the Notaires after a long argument between us and them, had to accept that we were right and in consequence agreed to the necessary clauses being inserted in the transfer deed which would enable our clients to make a claim against the sellers if structural defects manifested themselves in the future. This shows the importance of buyers consulting a firm of experienced French property lawyers such as ourselves, with the requisite knowledge and expertise to advise them before signing the first contract put before them by the French Estate Agent. In the course of acting for people buying a property in France we as French property lawyers have come across instances where, for example, there was a legal right of way through the building which the estate agent had not told our client about and most importantly was not mentioned in the first contract (compromis de vente) which the estate agents had tried to get our clients to sign. Luckily for them, we as experienced French property lawyers recognised this problem and our clients avoided making the costly mistake of buying this particular property. We have come across a case where a Notaire has created a life interest of the elderly owners of a French property on them giving the remainder of the property to their children which would mean that on the parents’ deaths each of their interests in their share of the property would be subject to the full amount of UK Inheritance Tax because the donors had retained life interests. Had UK Solicitors who were also Anglo French lawyers such as Barney & Company, been asked to advise on the transaction, they would have strongly advised against the creation of such interests, and structured the transaction differently. My wife and I contacted David Barney in October 2017 as we wanted to sell a property in France, which had serious legal issues with regards to beneficiaries after a colleague’s death. We can confirm that David has been a great asset in fighting our corner and I would go as far as to say that David’s knowledge of French Property Law is probably more extensive than Notaires based in France. In our case, I am positive that if it had not been for David’s knowledge and know how, we probably would not have been able to proceed to a successful completion and sold the property. He will provide you with all the information required and will give you every assistance in ensuring that you have the right advice in any proposed transaction. We needed to sell our country property in France whilst completing the legal transfer of the house into our names following a bereavement. David was absolutely fantastic, he was incredibly knowledgeable about the whole process and made sure that all parties did what was required of them at all stages, which was not always easy! David was very persistent and led the sale through to completion. I would fully recommend David to others looking to sell properties in France. I would like to place on record the experience I have had in dealing with an inheritance of a close relative domiciled in France. After the first few years, it became clear that my first selected law firm was less competent than I first understood them to be. I sacked them and took on another firm, one that advertised Nationally and Internationally as expert in French law. After high levels of initial interest, they too failed to gain any real ground, and some years later I found myself in a situation with no real progress, and much poorer financially. David Barney then took over, and it was clear from the outset that his expertise was matched by his enthusiasm to move things along. Although it took another few years to complete the inheritance, I wish that David Barney had been my first port of call. Thank you for your valued information - it was extremely helpful to talk with you and your advice has enabled us to have a very clear picture of the situation regarding our french property and will be acted upon. Thank you very much for your effort. David Barney helped me in a complicated case in which my former marital home in France was placed under a Mesher order by a UK court. When the Mesher order came to term, it was far from clear how the house should be sold and I assumed - erroneously as it turned out - that I needed a French avocat to supervise the process. After months of fruitless meetings with the avocat including lengthy periods in his waiting room and several missed appointments on his part, I was making absolutely no progress. In frustration, I turned to David, who grasped my situation just minutes into our first conversation. He informed me that the French avocat was taking me down completely the wrong legal route, which would have left all parties considerably worse off. He helped me draft a new UK court order to sell the house, which adhered to the original order and allowed me to achieve all the objectives that the French avocat had told me were unrealistic. David was always available and a constant support in an extremely stressful situation. Indeed, in multiple discussions involving other avocats, UK solicitors, immobiliers, experts and Notaires, he was the only professional I felt was really on my side. I believe David’s involvement shortened a painful and anxiety-ridden process by about six months and led to a better outcome for everyone. We really appreciated David Barney’s knowledge input support and sensitivity. We were very impressed with the professional calm friendly way David supported us during a very stressful few months. His patience, fairness and quality of advice was outstanding. David was easy to work with and understood our needs. As we live 200 plus miles away we thought it would have been quite difficult to get everything completed but David dealt with everything. We were impressed by access to David and his ability to deal quickly and efficiently with links via email and phone. Copies of documents were promptly delivered so no part of the house sale conveyance was delayed. We are truly thankful for all his help. David Barney simplified what would have been a complex process. I would recommend David to anyone wishing to complete a property transaction in France. Mr David Barney (of Barney & Company Solicitors) was able to resolve a potentially complicated matter involving the transfer of the ownership of a property in France during one telephone conversation. His grasp of the situation and the subsequent advice given was clear offering a simple solution to the problem and most gratefully received. David, I would like to thank you for your immense efforts in dealing with what was a very difficult situation with my Corsican succession and subsequent inheritance. It was extremely frustrating and emotive for me and you were exceptionally dignified and exemplary in your dealings with the notaries in Corsica who were unprofessional, obstructive and unethical in the whole matter. You were tenacious and unwavering at all times. Thank you. David Barney was willing to engage and able to qualify my needs. He provided excellent advice that was specific to my circumstances. He was straight talking using layman’s language and gave me confidence in his abilities. A genuine bloke who I would recommend to anyone considering purchasing French property. I want to thank you for devising and guiding the strategy that has ended this sad matter in my favour. The relief I feel is almost beyond expression. I also want you to know that I never once doubted you, your superb professionalism or the outcome. My only worry was that XXXX and XXXX’s children would string it out for years, that they did not do so must be entirely down to you. The copy letters and emails I have had from you since our first meeting in April last year can in no way tell the whole story and I shall ever be intrigued to know how you got them to agree. All I can say is you have my heartfelt and very sincere thanks for all that you have done. 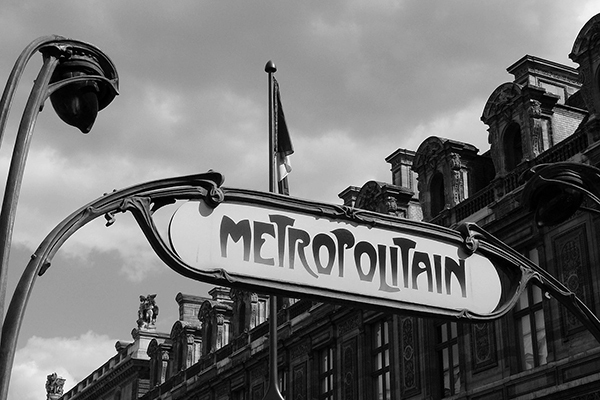 I used David Barney to assist with a Tenancy Agreement for my daughter who was moving to live in Paris, the apartments go so quickly and we needed a quick response. I would highly recommend his services. David is friendly, professional and helpful. We were so delighted that he was able to assist in our French property purchase and he has put our minds at rest moving closer to ownership! We would not hesitate to recommend the service we have been provided with. I used the legal services of David Barney to assist with the sale of my house in France. I found him to be extremely professional and, having never been through this process before, his thorough knowledge of the subject was very reassuring. The sale went through smoothly and I would highly recommend his services to anyone looking for advice on French legal matters. Selling or purchasing a house in France can be a difficult, exasperating and time-consuming exercise. Mr Barney removes all that pressure. He is always available, understands the minutiae of French law with regard to housing and provides a level of support and assistance I have not experienced elsewhere in our legal services. If you are considering purchasing or selling a property in France I cannot recommend him more highly. He is your man. We found David via an internet search and were so pleased that we found him. He made the buying of our property in France much easier as we do not speak French as yet. He was always at the end of the phone when we needed an answer and always responded quickly to any queries we had. We always felt he was on our side the whole way through - would happily recommend or use again if we purchase again in France. I contacted David 3 years ago looking for some advice and assistance after my father passed away. My father partly owned a property in France which formed part of his estate which was governed by French Inheritance Law. David was able to offer immediate assistance and pointed out areas where I was likely to be vulnerable or taken advantage of. Unfortunately this led to a 3 year dispute with another party, however David’s commitment to my case was impressive. His knowledge of French Inheritance law is second to none and he fought very hard to ensure I got what was rightfully mine. His knowledge, explanations and powerful letters (that always packed a punch!) repeatedly filled me with confidence and support through was what was a very difficult time for me. I wouldn’t hesitate to recommend David to anyone who requires help/advice regarding French Inheritance Law. Thank you David for your help! I required a solicitor to handle the purchase of a Chalet in France. The internet guided me to Barney& Co Solicitors, so I called David Barney and spoke to some extent over my options and the best way to proceed over a conversation lasting a good 30 minutes. David called me back with answers to several questions that I raised and this is what gave me the confidence in his expertise and client attention. Subsequently I instructed David to handle my affairs and deal with the other parties demanding client and solicitor which he did. The outcome is the purchase was undertaken with ease and only the speed of French property process slowed the process. I would strongly recommend David and his associates. I needed to seek professional help with regard to re-imbursement of an overpayment of French Social Tax following the sale of my property in 2013. My search on the internet led me to contact Barney &Co Solicitors , initially being hesitant and not the lease a little sceptical about the likelihood of a successful outcome/conclusion of my claim due to the complexities with regard to French law. I am pleased to say that due to David Barney’s professionalism, knowledge and perseverance my fears were unfounded and resulted in a successful conclusion to my claim. I would therefore have no hesitation in recommending Barney & Co Solicitors in relation to French law. I have just purchased a French property with the help of Mr. Barney. Anyone familiar with property sales will know it is a very rare thing indeed for a property transaction to go through without any problems, let alone one across international borders, and ours was no exception, however, at all times David was very helpful, approachable, gave clear explanations, and did a superb job ensuring the sale progressed to its conclusion. When any queries were raised David's answers were always prompt and informative. David did a fantastic job for me and I would gladly recommend him and use him again myself in the future should the need arrive. We have just returned from France having purchased a house in very good condition compared with others of the same type. i.e. old stone built Bastide houses. Thanks to your comments and advice I was able to get many necessary improvements carried out by the Vendors before we signed the final ‘acte’, and this has allowed us to get the work for our changes underway promptly after the purchase. My brother and I, who have little knowledge of the French legal system, were faced with signing complicated French legal documents to allow the sale of a French property in which we had a share. We realised we were vulnerable and asked David Barney to act on our behalf. On examining the case, he realised that we were in danger of being seriously disadvantaged financially due to mistakes made in a previous property transaction. Mr Barney eventually managed to convince the Notaire managing the property sale that our claim for a larger share of the proceeds was correct. This led to a positive result for us which significantly exceeded Mr Barney's fees. David acted for me with respect to my late Father’s estate in France, including the sale of his home. David was extremely knowledgeable, very skilful in guiding me to the best possible outcome and very thorough in the way that he handled all aspects of the legal process - his help was invaluable. I also found David to be compassionate and thoughtful which made all the difference at such a difficult time. I have no hesitation in recommending him to you. David was very thorough throughout the process, and knew to look and ask for elements that we wouldn’t have thought of. He is determined to get the full picture for his clients before they commit to a transaction so they know exactly what they are buying into. I can confirm that David acted for me in respect of the purchase of a property in France providing procedural advice, contract terms modification, supply of an independent Notaire and general comfort in the translation of technical French into English. I have no hesitation in recommending the employment of David in these respects, who not only shows but operates by the "old fashioned" levels of client care which were once the norm in the legal profession, rather than the "red tape" which is so commonly met with today. Both my wife and I would like to put on record how impressed with the service and care you have taken with the buying of our first property in France , all the information you gave us was simple to understand ,I was very grateful to find someone like yourself to guide us through the whole complicated process, as all the documents are in French, I was also impressed at how quickly you returned our phone call with numerous questions, nothing seemed to much trouble and your attention to detail was great, the whole process was smooth and easy to follow ,we would both recommend you to anyone buying a property in France as the service was second to none and will be using your services again on our next venture aboard. Once again thank you for all your help and legal guidance with the law in France as it seems to differ from how we approach things in England. My ex and I purchased a house in France as an SCI (originally as a holiday home), but when we separated I decided to stay in the UK, while my ex moved to France. Being an SCI meant that we owned the house 50/50, and I needed expert legal help to sort it out for me. It proved to be a very complicated process, but David Barney managed every step with calm, thoughtful and sensible professionalism. His advice to me was second to none at all times. I couldn't recommend David more highly. David Barney acted for us in the sale of our French ski apartment, and was very efficient, helpful and cost effective. We highly recommend Barney & Co’s services. We would like to thank David for his valuable advice and assistance with our property purchase in France. It was very reassuring to have an expert in the process and the language, ensuring that we didn't sign anything that we were unsure of. David's advice about the best way for us to purchase in our situation also made great sense and we are certainly much more aware of inheritance laws etc for the future. I would happily recommend David's services for anyone needing help in buying a house in France in the future. David was extremely helpful in guiding us through a very difficult transaction. He was always available to spend time and give advice when needed and crucially able to advise us against incorporating several clauses in the agreement that would could have had most undesirable consequences and were not even flagged up by the French Notaire we had appointed to deal with the sale. From the very first phone call, David Barney has been fantastic in dealing with the sale of some land in France. It has been a slightly complicated set of circumstances which he has unraveled and navigated with persistence, grace and clarity. I can't recommend him highly enough and am hugely grateful. On behalf of my sister and I, I would like to express a huge appreciation and thanks for your expertise and diligence in the matter of our late sister's estate in France. Our initial reason for engaging your service was to assist in the translation and understanding of the plethoric volume of legal documents requiring our signatures and immediate payment of succession tax quoted therein. Your familiarity with the language, and your expert knowledge and evaluation of the complexities involved in the calculation of the French succession tax quickly uncovered a significant error, which undoubtedly, we would have paid had we not engaged your services. Furthermore, you identified exemption of these taxes for my sister due to her recognized disability in Britain. Without a doubt, you have saved us tens of thousands of euros. Once again, many thanks. Mr and Mrs W who purchased a property in the Charente department wrote to us following their successful purchase to say "David Barney’s experience and guidance was invaluable. His involvement provided us with peace of mind that we would not have had relying solely on a French based Notaire. 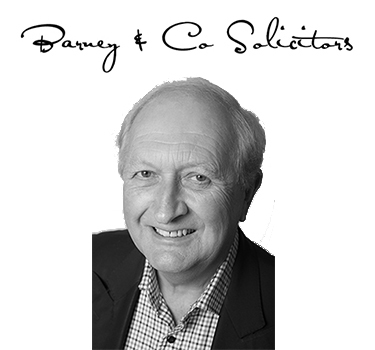 Barney & Co offer a FREE INITIAL DISCUSSION for not more than 20 minutes of your requirements relating to the purchase or sale of French property or issues relating to that property such as Wills succession rights.